New 3D print technology plays on familiar classic STEAM projects in the classrooms at Rippl3D. 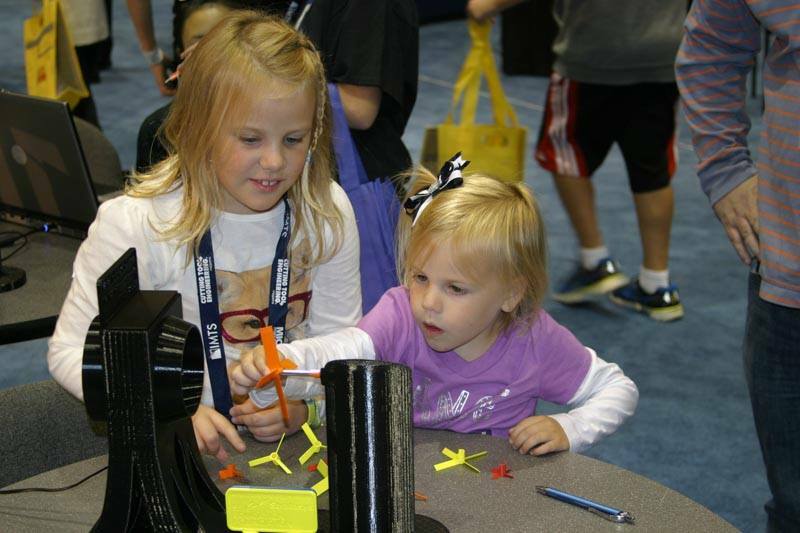 Capturing excitement in STEM and STEAM at an early age is critical to educational development and 3D printing is another tool educators can use to drive student engagement. 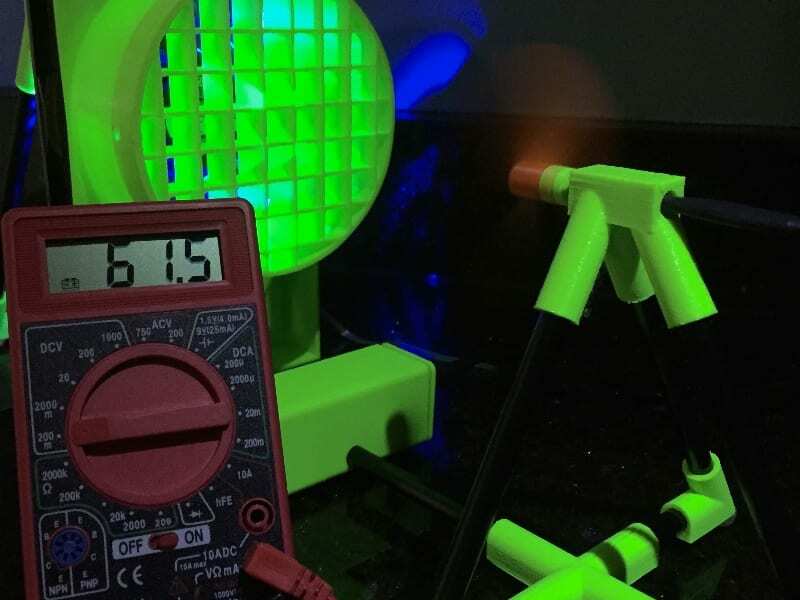 Rippl3D has a database full of 3D print STEAM projects, as well as a long list of 3D print STEAM challenges that come along with taking on this type of endeavor to reach out to students during the short window of opportunity and interest. I really enjoyed this interview that we’re going to set up and talk about today. The projects are just so much like things I used to do when I was a kid. Although, not with 3D printing. We have had a few education episodes in the past couple months. One is with our one of our favorite guys, Brian Federal. He’s so passionate about changing the education system here. He actually referred Rippl3D, which is the company that we’re interviewing, referred them to us so that we could really explore what they’re doing to capture excitement in STEM and STEAM at an early age. They have, you’ll hear in the interview, all sorts of different projects. It’s more than just a projects. They’re really a platform and they’re really nonprofit. It’s just a couple of people who, they have a little bit of funding from the Society of Manufacturing Engineers. They’re really just some individuals who have an interest in STEM and STEAM projects and using 3D printing as a means to do that a little more effectively and a little more quickly and allow kids to experience how you can change things and experiment with them quickly. These 3D print STEM competitions or challenges, whatever way you want to call it that they’re sponsoring at Rippl3D, are really in and of themselves interesting as projects and fun. We geeked out a little bit on it I have to say. Also, it’s really just part of that education process that we really wanted to point out today because we really don’t get enough opportunities to talk about how to teach 3D printing or how to teach STEM and STEAM. There’s always challenges in trying to structure your curriculum. I think the challenges with kids, to keep them interested, you really have to engage them in what they’re doing. If they’re having so much fun, they don’t even realize that they are learning, that is this curriculum. It’s something fun to do. They’re learning, yes, but they don’t even realize it. They’re just engaged in, “Wow, look at these cool things and these moving parts.” I can 3D print these things and then we can blast them off or we can blow wind into them and see how they work. Isn’t that fun and exciting? Let’s hear from Todd VanHoogstrate from Rippl3D. Todd, thanks so much for joining us today on WTFFF. I’m really excited to learn more about your website, Rippl3D, the kind of projects you do and what you’re all about. 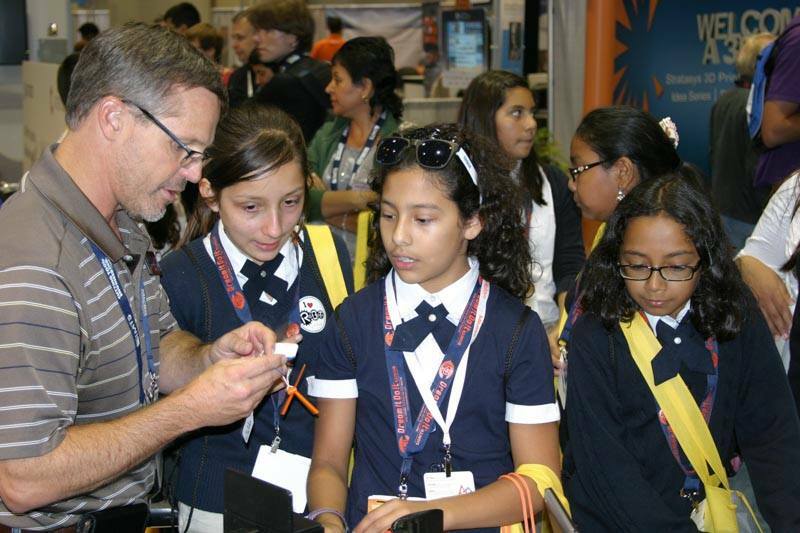 What we are all about is trying to bring STEM activities down to as lowest level elementary school as possible to stimulate kids’ interest in the science, technology, engineering, mathematics fields. 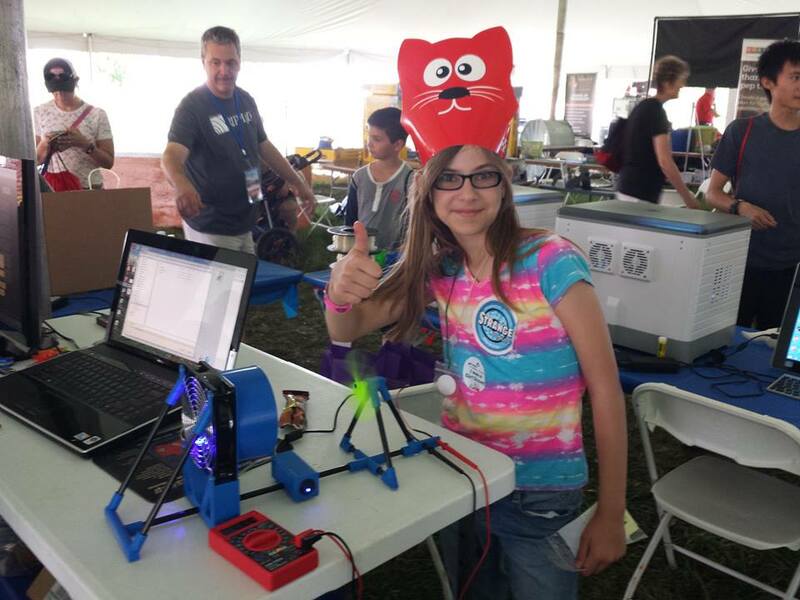 We would like for our design-build-test cycle, which is what we center our competitions around, to be very, very short so the kids can get immediate feedback at their designs. What we do is we collectively take all these designs that kids have attempted and we put all the results, their inputs and the output, and they get to see it all charted. They can look at the charts and use that to optimize their next design. We make use of 3D printers so that they’re designing parts and they can modify these different components in these design competitions that we have. What got you started doing this? My business partner and I, we went to college together. We were at Missouri University of Science and Technology. When we were there, it was UMR. He and I, we both graduated engineering degree. He has a mechanical, I’m an electrical engineer. We’ve known each other for a long, long time. We’ve had a lot of experience in the engineering fields. Our kids have gone through various engineering programs at school. We just had an idea that we could identify kids even sooner, because we saw that some kids didn’t even know that they had an interest in these things. His idea, he’s really the one who had the original idea with 3D printing, was to come up with some simple designs that kids could modify, that could be printed in a very short period of time and then test it. He spent some time testing his idea out. I got involved with helping to build up the website to facilitate this. It turned out to be fantastic. The kids and teachers just, they couldn’t get enough of it. Every time we go to the show, we just get swamped. We see that because you guys are hitting right in the middle of a very big education gap. It’s not that there isn’t interest out there. That’s what we found, because we have an elementary school daughter. There’s absolutely interest in doing these projects but there’s a lack of places to find them and there’s a lack of training for the teachers and support for the teachers to make them happen as well. We’re right in this gap of not enough resources or so decentralized in terms of resources that it makes it really difficult for people to find them. You just hit on something, making the resources available. The way we went at this, and rather than just having some competitions that we invite people to come and see, our approach was, “Let’s design and create these competitions but let’s put it on the web, make everything accessible to everyone so that we do not have to be involved.” Every iteration that we go through with our website, we take the feedback from people in a community who are using it and we try to make changes so that it makes it even easier for them. Ideally, we should never be involved. I love that. It’s building itself. 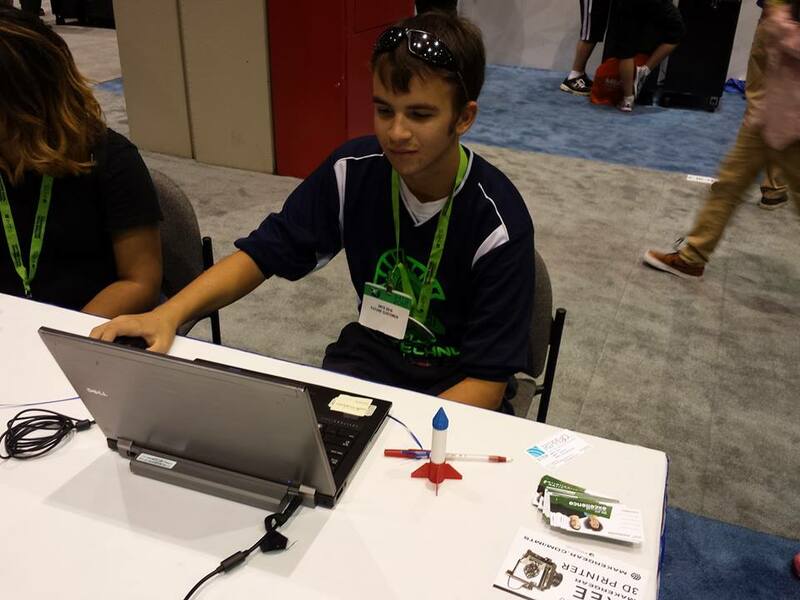 3D Print STEAM Challenges are held nationwide. We just keep creating new competitions. We’ve got many ideas. We’ve spent a lot of time trying to, most importantly, make sure that we were getting the kids’ and educators’ attention. We are. Let’s take an example of one of your 3D print STEAM challenges. I’m just going to go with the one with the most interest to me, I’ll have to explain why. The air rocket challenge. I’d like to ask, because from what I’m reading on the website, it’s not immediately clear to me, are these air pressure rockets? You’re putting air pressure into them and then they’re going off? What’s the propulsion? Part of two of the question would be, you’re giving them these basic CAD files to work from and they’re manipulating them. What kinds of things are they able to manipulate to test? The first part, the propulsion. The propulsion is really based on just the air pressure tank, things you have around for household plans, a nail gun or anything like that, where you just build up a little pressure tank. We use that. We have designed a series of valves and controllers where you can set the amount of pressure that gets released into a chamber that then launches the rocket. We can set that within a tenth of a PSI. Really that’s all that we use to launch it. 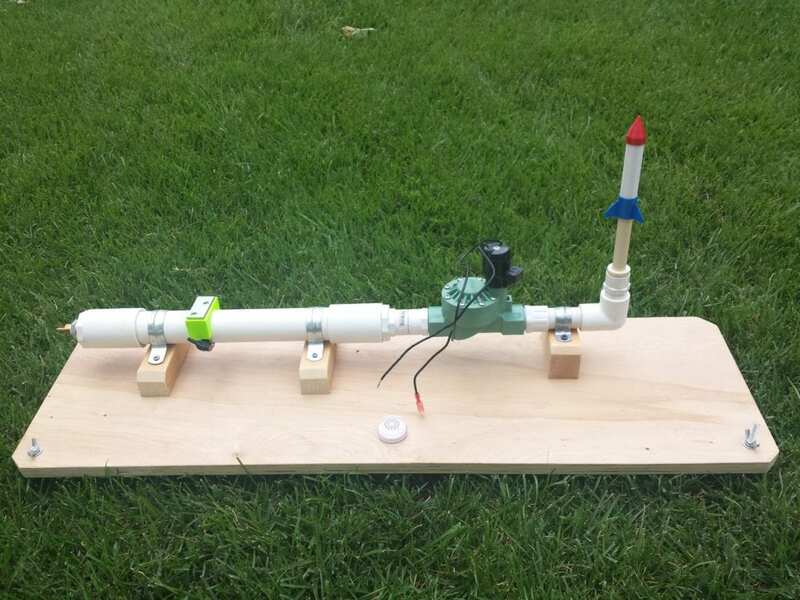 3D print STEAM challenges include this rocket propulsion project. I think I understand it. 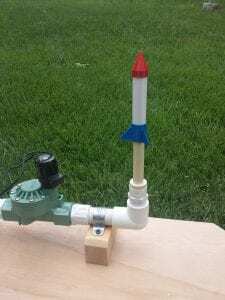 There’s a photo on your website where you have like a PVC pipe that the rocket sits on, which reminds me of like a stomp rocket that I actually used in the past. Is that the same principle? We basically took the stomp rocket and we got a little carried away with the design here. What we did is we said, “We want to be able to control the angle, the trajectory,” we call it launch angle. We also want to be able to control precisely how much pressure is released into that rocket. We have a design and we actually put the design out there on our website so people can duplicate what we’ve done and they could, again, precisely control the pressure and angle. In our different competitions, you want to hit a target or you got to go over a certain altitude if you will and drop down into a target. There’s many different ways that you can structure the competition. From the design perspective of the rocket itself, yes, you can download the STL file and print it out. The STL file, what you do is you are modifying the number of blades, the blade angle so that when you start to change it a little bit, it will actually cause the rocket to spin a little bit, kind of like a bullet. It makes it more accurate in its trajectory. You can also adjust the height of the fins on the rocket and the length of the fins. Or just make it look cool. Or just make it look cool. We’ve got a lot of that. Love that. This is really interesting. When you approach the educator side of it, do you lay it out? I get it if you’re a kid and you come in, you go like, “Cool, I’m going to make a rocket.” You’re learning some principle along the way. When you approach the educators, you’re obviously saying something more like, “We’re learning about launch angles and trajectories and things like that. That’s what this is.” How do you approach that differently for the different parts of the community? What we’ve done is we have setup our site so that if somebody doesn’t have a 3D printer for example where they can go and print the parts, we have a set of can design parts that they can order pre-printed and then the students can just use those different previously made components and use that in their design. The other aspect of the rocket design is the payload. We haven’t really talked about it. But in the nose cone, we had the students put in some clay to add a different amount of weight. We measured that. What you have is you have the different input parameters of the rocket, the fin type, size and everything else. What we do is we tell the teachers, “Really, you have a goal. You set whatever goal that you want to achieve and you let the students hone in on their designs to achieve that goal.” With the design iteration, design-build-test cycle being very, very short, they can do many attempts. Because the cost is so low, it could really be done anywhere by any size groups. Wow, I like that. I like the combination of 3D printed parts and other conventional materials to manipulate some of the physics of what’s going on. That makes a lot of sense. Thinking about it, when I was asking my question, what I was thinking about was from the teacher’s perspective is that, they have educational goals, they have different principles they have to teach, whether it’s in physics or chemistry or whatever they’re teaching. To find a fit for a project that is going to give kids an experience while learning that, that’s an interesting model. As a teacher, you’re out there looking for projects that are fun and engaging and going to really go deep for kids and really give them that experience. I love the idea that each one of these is based on principles that they might be learning and then getting them in that home mode of design-build-test. That’s just fantastic. They’ll fail fast and often. Learning about what parameters to consider in the wind turbine 3D print STEAM challenges. There’s more competitions than just the rocket launch. We had a wind turbine design where the students design a turbine blade. The goal of that is to convert as much wind energy into electrical energy. It get surprising how much of a difference modification of the different turbine parameters, how much of a difference it makes in the power generation. The kids could actually see that. They really hone in on it. It takes them a while, but they do. You’re also teaching the ideas of you’ve got different forms of energy, you’ve got wind energy, you’ve got electrical energy, there’s mechanical energy. They’ll see the whole process of converting energy into its different forms. They can actually do mathematical calculations and simulate and calculate quite a bit of this in the classroom. That’s really interesting and great. I can see that as you get up in age groups. When you’re at the elementary school age, it’s more of like, “I’m just making something really cool.” Because you’ve got this broad platform, any age could be participating here. How do you handle that age difference? That’s a great question. If you’re in the elementary school, as you said, kids just think, “This is really neat. I just want to build a rocket and launch it.” What ends up happening is when there’s a goal in mind, “We want you to hit a particular target.” Kids will try this and they’ll see, “Wow, you know what, I didn’t do real well in my first attempt,” and that’s okay. It’s what you do with your next attempt. We always ask the question or have the teachers ask the question, “What would you change in your design? Would you add more pressure? Would you increase or decrease your launch angle? Is there anything about the fin types, the number of fins that you used?” Things like that. You just try to pose the question to the kids. I want to tell you what, even in the elementary school age, these young children, boys and girls, they have an idea of what would make a change. We say, “Let’s try that.” Sometimes their ideas, they realize that they’re way off base and then we ask the question, “What happened? What do you think was wrong in your thinking?” The whole process, you get to keep asking questions. When you see a child starts to stumble a little bit, he has a teacher, you can then give a little bit of a clue that would get them going down on the right track. Even at the elementary school age, these kids get it. They get the idea of trying something different, more pressure. They’ll make it go farther. 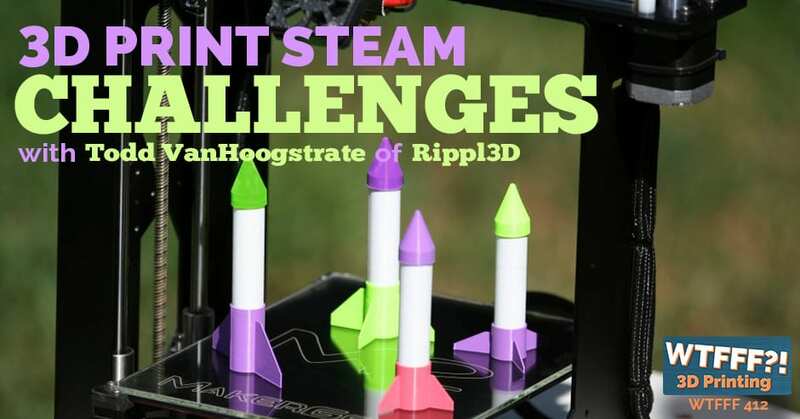 Kids of all ages can take part in Rippl3D’s 3D print STEAM challenges. Gosh, I had my launch angle too high so it went too high and didn’t go far enough down the field. They get all these ideas. They just simply go in there and adjust the angles, adjust the pressure. What we encourage them to do is to make one change at a time, one parametric change. Because another concept is that if you make a bunch of changes at once, you don’t know which one really had the right effect. Again, more of the kinds of things that the kids can be thinking about. These concepts we thought were just things that were only understood by middle school or high school. We were surprised, elementary school kids get it. We see it at third grade. We’ve had kindergartners sit there and nail it, some of these designs. That’s when you really know you’ve got somebody special, when a kindergartner starts getting the concepts and going through the iterative process. You single that child out. You have to have a conversation with the parent and say, “You have somebody very special here. You need to be talking with some other people.” We’ve had those experiences with some young mothers who had daughters in one case that they thought that there was something wrong with their daughter because they didn’t socially fit in with a lot of their peers. Come to find out that these young ladies were gifted in engineering, their spatial reasoning and understanding. You’re talking third graders. We have found that there’s third graders, they get it, catch on quicker than many high schoolers do. We see that as well in our case. What’s really interesting is we had an interview last month with a website that’s focused on girls and STEAM. The projects though are very different to keep them engaged because they see a lot of drop off. It’s great that the younger age, they’re happy to build rockets and do stuff like that. It’s not as big a difference. You start hitting into middle school or fifth, sixth grade it starts to shift a little bit. The interest wanes quickly if they’re not something that engages them as girls. That’s what we found is harder to keep that engagement going on as the distraction happens through junior high school and into high school. If they don’t see an application to something that they have a particular interest in, that’s hard to keep it going. The 3D print STEAM challenges help teachers and parents identify students’ interest in STEAM fields during that prime window of opportunity. You are absolutely right. We have seen that many, many times. We’re finding that if you don’t identify girls having this interest before third, fourth, fifth grade, you have almost lost your window of opportunity. One of the challenges that we have had is what are some of the other kinds of competitions and designs can we come up with that may actually be able to interest kids that have lost that interest by the time they get to middle school? We’re working on it, we have a number of ideas but we’re still working on our little laboratory if you will. You’ve got to reengage them. It’s a product problem in a way, so you have to go to the project and the product that interests them the most. I always found that, with my nephew’s for instance, that they would have a significant drop off in interest in math and other things but when you then equated that to sports, all of a sudden they were back in again. If you can just really tie in to that interest level rather than thinking it on more strict, that’s unfortunately the way a lot of curriculum is developed at middle school and high school. It’s on a strict science, technology, engineering and math basis. “We all build this, we all make that.” It’s so dry and it lacks that variation and interest level that we lose a lot of connection to our students that way. That is very, very true. We have to continue to offer the students the opportunity to make their own decisions on how they want to proceed with whatever the stated goal is and even actually give them the option to choose a different goal, a different objective that they want to pursue. We have experienced that. Some of the students said, “You know what, I really don’t want to try to necessarily hit a target. I want to see how far I can launch this and just how far it will go.” That’s okay. They can run along with that different design. One of the other goals that Rippl3D is pursuing is the ability for students and teachers to create their own competitions. That is the next phase of Rippl3D, where we provide the CAD modelling and some sample CAD models where they can create their own. This is usually at the high school level where they have to do a little bit of programming. In some instances, the competitions don’t necessarily have to involve 3D printing. You can have design competitions where they’re setting the parameters on just different components that they’re using. It could be Lego parts. The website has been designed to accommodate hundreds of design competitions, custom design competitions, in whatever shape or form somebody would like them to look like. The only thing that we’re lacking right now, something that’s underdeveloped, is a way for users to input those competitions. It might be something not even necessarily related to science. It could be a writing competition. You’ve got a 500 word essay you need to write that has these three characters and then what you do is have people write their papers. They can post that and then what you have is different categories where people can give them a score. These different categories would be things that a teacher would input. Then you would have, again, a competition with these different categories, a score tally would be created. They get to see that on a leaderboard. It doesn’t necessarily have to be just science and engineering, it could be an art as well. That’s what we’re bringing in the art component too. 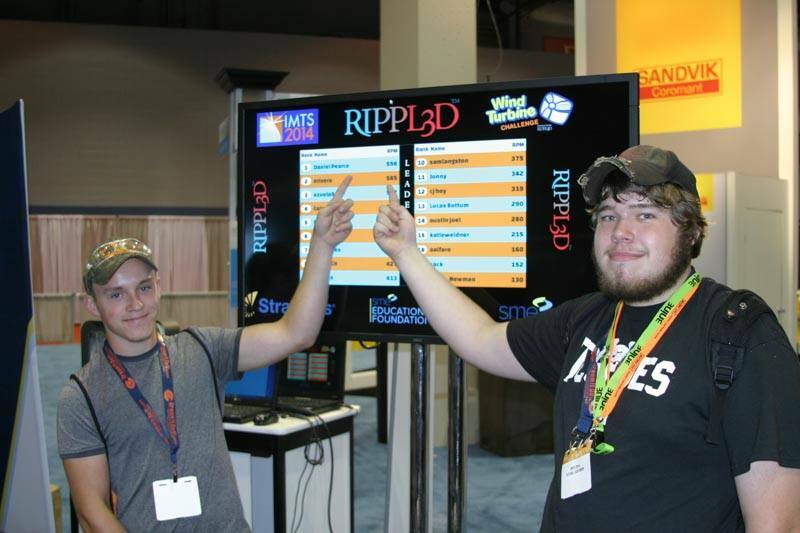 Leaderboard ignites competition at Rippl3D’s 3D print STEAM challenges. You just got to get that pressure of competition going there and keeping everybody going. I love that. That really creates an environment in which they get excited about that part of it even if they’re not as thrilled with the concept of having to work on the project. Absolutely. The competition element really draws kids in. It’s almost like a video game, but it’s more interactive. We don’t want kids just staring at a screen and moving a mouse around. We would like them to be building stuff, we’d like them to be working in teams, a collaborative environment. This is something that the teachers can do. These are all ideas that we’ve proposed to teachers. We’ve seen a lot of them really coming up a lot of their competition structures. Again, the competition draws the kids in. I tell you, I’ve seen kids that come in looking really bored initially, by an hour later, you can’t get them out. You can’t chase them away. 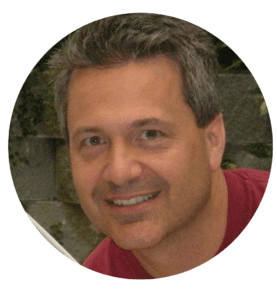 Todd, how has 3D printing really enabled your mission to be realized in a more practical sense, especially with all the changes? Wouldn’t it have been much more difficult when we were kids? Absolutely. The great thing about 3D printing is it allows the kids to actually get hands on. That kinetic part of it. Most kids, they don’t want to just sit there and read a book, turn pages and push a pencil on paper. They actually want to see something happen, they want to see the ideas that are talked about on paper come to reality. With the 3D printer, we can make that happen. We can go even further. It gives them more ideas of what would they change. We try to open up as many parameters of change to the student as possible for them to just experiment. These parts, some of them seem to be small enough that it doesn’t really take that long to print. You’re able to do it in one session if you will or sometimes you have to print them ahead of time. How does that work? One of the things that we do is we put ourselves under this requirement that every part ideally should be printable in under fifteen minutes. In the 3D printing world, many parts take hours. We realize that that’s not practical for our classroom environment. What we do is, again, the design, everything, the parameters we set and the size of everything is such that they can print it in roughly a fifteen minute timeframe, which then gives them the opportunity to have at least two iterations in one class period. That’s fantastic. I think that’s very important. I’m glad to hear that. What are some of the challenges that you guys are facing as you try to grow this platform? The challenges. It’s interesting. We’ve got so much wonderful feedback from educators and from students that it’s hard for us to know which direction we want to run with first. We just document everything and build it as fast as we can. It is very exciting from our perspective because there’s so many things that we can very easily do, but we have to try to go with what’s going to satisfy the greatest number of people initially. As far as other challenges, really just trying to get the word out there. I suppose getting people to realize, hey, we’ve been around for a few years now. We’re not going anywhere because we’ve got other means to keep ourselves going. We’re just going to keep building this until it finally takes off. It’s not ever going to go away. That’s great. Getting the word out, we found that that is particularly difficult in the education space in any way, shape or form because each school district is so separated, they all have their own. There isn’t any kind of centralized resources for educators. There isn’t one single place that you can go to to like, “Hey, put in a blog post or an advertisement or anything like that.” It’s so spread out across the country, by state and locality on top of that. I understand how difficult that is for you guys in terms of getting the word out to the educators themselves. It really has been. One of the things that we have to do is when people come and they see these events and they see the excitement and then they go back home, a lot of the times, they run into obstacles themselves in trying to bring this in and get it started because people all want to see it first. We’ve put out some videos out there so they can get an idea of what some of these competitions are like. Really, you have to see it. When you see the excitement in the kids, that’s all the sale that you need. Again, getting the word out. We’ve actually had some people tell us, “You’re just not charging enough money. You need to charge more money because people won’t take you serious because you’re so inexpensive.” We say, “That’s exactly one of the reasons why we’re doing this, is as engineers, we’ve put a very restrict set of requirements on ourselves and the goal of those requirements. We can reach as many kids as possible.” Cost should not be an issue. Actually, that’s something that I want to make sure we touch on for our audience, because I didn’t even see on your website where there is a cost associated with this. Help share what any of the costs are and how they apply. The first set of costs are obviously you’ve got, if you’re going to be printing 3D, you’re going to need 3D printer. 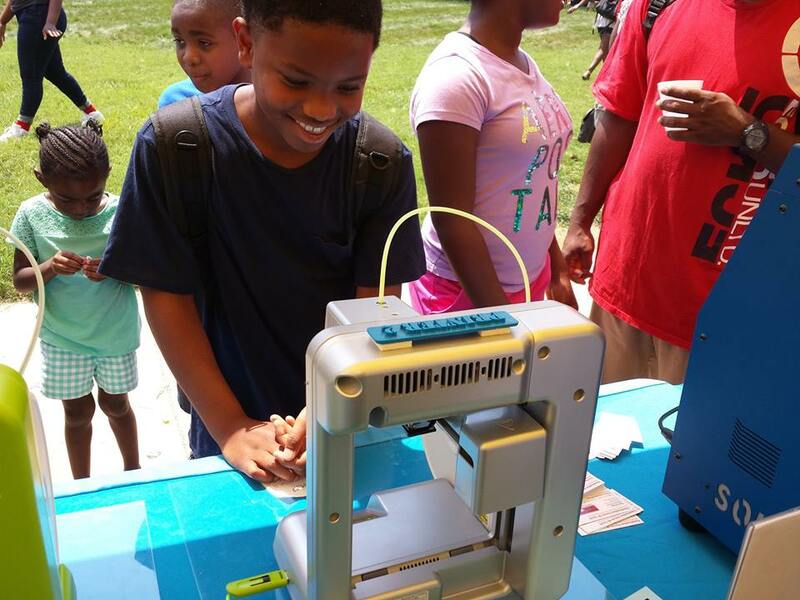 Most schools have access to 3D printer. You can even use it at a library for example. It helps get over that cost. Then there’s the other cost of just the components themselves. If it’s a wind turbine, you’re going to need a test stand to test it. Some people said, “You know what, we can build our own test stand.” We encourage that. We provide all the parts, the models, part numbers I should say for people that go out and build these test stands. Usually, we’re targeting, if somebody wants to build their own test stand, we want it to be under $100. The other part of it is, finally, a license to be able to use Rippl3D’s eco space. You don’t necessarily need a license initially, you just go in and grab the free play and download the parts and print them that way. Really, what we’re trying to do is, there’s a cost associated with creating the site and keep generating more and more ideas. We’re basically trying to get this so that the fees that we do charge are low enough yet it can keep just fueling this eco space and all the new ideas. We’re talking about $100 for a classroom for a year or $300 for a school for a year for unlimited use, which we feel like is really not very much. I think somebody could donate that. I don’t think it is very much. People can go to your website and learn about each of these projects, download the STL files and experiment with them on their own if they want. Is this like an on your honor type of license if you’re a school or an institution or a maker space club or something? Is there actually, to get a certain level of information, you have to pay to be able to download it? No, they can download files but the files that they are limited to are just fixed. They can’t change parameters. They can’t change the number of fins. Student participating in 3D print STEAM challenges. They can download, they can print, they can get the parts and play with it and see what that looks like. But when you get the license, what you’re getting is you’re getting the ability to start modifying all the components and you’re getting access to the leaderboard so you can start looking for patterns. There’s a clear pattern for a certain number of fins on the rocket that’s ideal after you start plotting out the output of all your launches. The other part of it is you get, when you buy a license obviously you get our help in getting yourself setup. That’s great. I understand that. At some point you get access to the parametric files. Is that what I’m hearing? And the competition portion of it. You’re really participating in the competition part. I think what would be really interesting that’s got into my mind, there are a lot of schools in our area here in California that have sister schools around the world. That’s such an interesting idea that you might compete with your sister school in Brazil or some other place like that on a competition. That could be really fun and interesting. That’s a great idea. We have talked with schools that are out in the farming communities. Where the schools are really spread out and it’s hard for the schools to get together from time to time and have competitions. This was one of the things that they realized that, “Hey, we can do this all across the state, all at one time.” You get a license and you can create as many of your own competitions. We don’t have to do that, you can choose whatever you want, you set a date, you can change what the parameter or limitations are in the competition and then you just have your contest. Everybody gets to see, they have the leaderboard for giving competitions no matter where you’re at, anywhere in the world. That’s fantastic. I really like that aspect and really like the mission and what you’re doing. I think your site’s a great resource and doing some great projects. I can’t wait to see in the future when you do have a hundred projects up there from other people that have contributed. I think it’s a great platform. Thanks so much for joining us, Todd. Keep us posted. I’m going to have to tell you, I was having post traumatic stress during that interview because of the stomp rocket. I have to explain to our audience why that is because it’s really interesting. Their apparatus that they hook up a compressed air tank to to blast off these rockets, it’s pretty simple. The rocket is a rocket shaped thing but it’s hallow in the middle and it’s cylindrical and it just sits over a PVC pipe that they blast air into it, it shoots it up in the air. There is a toy that’s been around for, I don’t know, probably decades called the Stomp Rocket, which does the same thing. You don’t 3D print it. You don’t get to experiment with it. You just stomp it off. You just have a rocket that sits on a tube. There’s like a bellows that you step on or jump on. Back in 2006, I know when it was actually, I had one of these for our daughter Alexandra, our oldest daughter who at the time I think was maybe ten or eleven. We had a soccer field up behind our house. We lived in northern California at the time. We’re setting it off and Alex says, “Daddy, make it go higher. Make it go higher.” I keep jumping on the thing, jumping up in the air and stomping on it harder and harder. I ended up injuring myself significantly. I didn’t even know how significantly until a year later. I partially tore my Achilles tendon on my left foot doing that, which eventually raptured during a softball game as I’m batting in the box. There’s a video of that, which is really scary. I think we’ve actually had another reference to that at one point in our early podcasts and the video’s out there in one of the episodes. Anyway, this is actually a much more practical way to launch stomp rockets. Less dangerous for you. But also be able the launch them much higher. I really like the precision with which they’re talking about, that they could change the amount of pressure. So much smarter. Obviously, I didn’t have a compressor to do compressed air at the time. As a STEM project, boy, isn’t that fantastic? I think it was really interesting because Todd was expressing to us off air that they’re feeling like this pressure and window of opportunity to catch these kids and get these projects going. There’s just not enough time in the day to do new projects and keep it going. It’s a funding issue as well. That’s really why I think that this is a great opportunity for a small business to sponsor something, to raise some exposure for some of the things that you do. Maybe a part that you make or something that you make could be incorporated into a fun and interesting competition. This is a great way to support the community as a whole but really support education in a really fun, exciting way that’s going to build on after. You don’t just run the project once and the competition once, it lives on. People can keep competing and maybe build their way up on a leaderboard and do something really exciting and interesting. While I think they definitely need sources of funding, so if you are a company that’s willing to do that, you should reach out to them. I also think just as big a problem for them, the impression I got was that it’s just the amount of the time in the day that the two people who founded this website have to be able to create projects and create the CAD files and detail all the specs of a project. I think that they’re looking forward to other people in the community being able to contribute projects to their catalog of projects. That’s why it’s smart that they built their website that way so that it can be that collaborative and anyone can input a project and do that. I really think that this rapid trial and error and the competition feedback portion of it in and of itself is a great way to model an education curriculum. Lots of potential projects are spinning through my head right now. There’s not enough time in our day. I know that. That’s for sure. We are so behind on all the projects we have lists of that we’d like to be 3D printing right now. We have to do something about that. It’s time to get an intern in here and get some more horsepower on it. We’re think of starting a new webpage, a Facebook page, I Printed This. It’s a new Facebook page where you guys can post up the cool prints that you’ve done. We’d love to see what you have. You just go in there, like the page and you can post up and share with the community what cool stuff, I Printed This. It’s just totally fun to help communicate everything that we’re all doing. No pressure. No sales. It’s meant with great intent too for us all to share what we’re doing. Other than that, this was a fun episode. 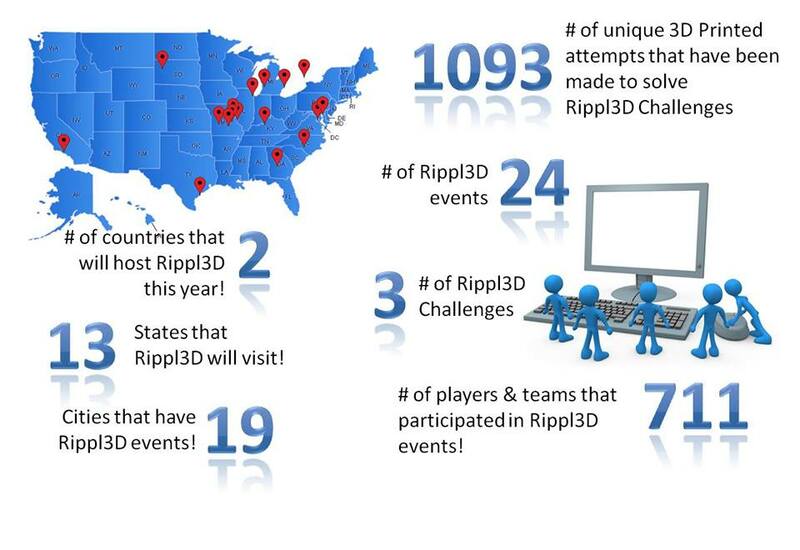 Rippl3D is a web base Challenge Site that provides well designed STEM Challenges that engage students into a Design/Build/Test cycle that gives them fun hands on STEM experiences. Students get up close and personal with complex problems that would be difficult to teach or understand without the rapid trial and error feedback from the Challenges. They learn how to make design assumptions and then extrapolate the cause and effect relationships that they see in the test results. Thankfulness to my father who shared with me on the topic of this weblog, this website is genuinely awesome.